A friend of mine pointed out what he considered a rather surprising contradiction between what I write in this blog and my usual cheerful and optimistic demeanor, so I thought I’d share just why I still walk around with a considerable sense of optimism. To understand why I am in no way surprised by the behavior of most governments in response to the collapse of the financial markets and later the sovereign debt crisis, it is necessary to understand the various schools of economic thought. If you have taken any economic courses, you were most likely taught just one school as if it were The Truth, when in fact, we are still learning. I’ve posted in the Investing Aids section a description of these various schools of economic thought. The markets are volatile and yet I still sleep well at night. The S&P dropped 3.9% yesterday, which is the biggest drop since April 2009. It is now 24% below where it was a decade ago, just after the peak of the Internet bubble. It is just 3% above its close on the first trading day after the Sept. 11th, 2001, terrorism attacks. The S&P 500 is off about 12% from a 19-month high on April 23rd. A correction is considered a 10% retreat. The Nasdaq Composite Index, the Dow Jones Industrial Average and S&P500 have now all erased their 2010 advances. We have unsustainable debt at all levels, federal, state and household. This debt must be paid down in order to have a healthy economy, the term typically used here is deleveraging. We are a nation with an adjustable-rate mortgage dangerously close to or greater than our home’s worth and an unstable paycheck. Think of living that way, or perhaps you sadly already are. It is terrifying and nearly impossible to imagine taking the kind of calculated risks that lead to real wealth creation when living under those conditions. We face frightening demographic transitions with the largest generations across the developed world heading into retirement, creating a shrinking buyer pool, and placing another unsustainable burden on the much smaller, younger generations to pay for the debt left behind and the ever growing government-created entitlement programs. Despite the current climate of low inflation, the remarkable expansion of the monetary base is likely to cause higher inflation eventually. Governments are likely to respond to the pressures they face by raising taxes which is always a headwind to growth. We are facing a great deal more government intervention in the markets which creates instability as the rules of the game will be changed often. The unpredictable nature of this behavior does not provide the stability markets require for sustained growth. Business leaders are more likely to hunker down than expand when they are unsure if the new rules that will be put in place will harm or help them. We face a political environment in which wars and terrorist attacks are increasingly likely. All this leads me to expect increased volatility, meaning more of the markets racing up then down, with increased frequency. A miracle could occur, governments could somehow get the Goldilocks scenario, but that’s pretty unlikely. I look at the world in two ways, first as an investor and second as a citizen. As an advisor and an investor myself, I am excited because all this volatility provides opportunity. 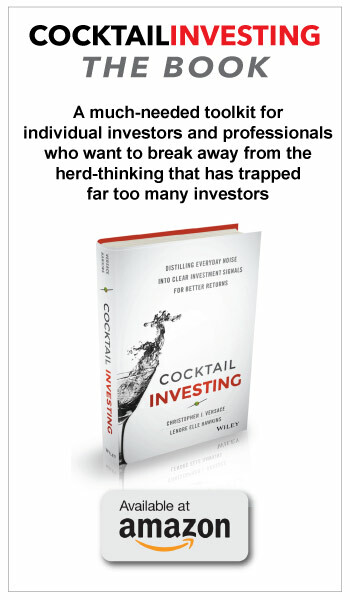 We’ve watched as the popular theories of investing such as the Efficient Market Hypothesis, Buy and Hold, and standard allocations according to Modern Portfolio Theory did little to help protect and grow portfolios over the past decade, yet most are still implementing those same strategies hoping this time it will be different. More than ever, investment portfolios need to be positioned to protect from market downturns and even take advantage of them, while still providing upside potential. A portfolio of this nature will most likely not ride the top of the market wave when things go up, but it will also not experience the gut-wrenching slides either. This stability is more likely to produce better long-term results. With a portfolio like this, the market roller coasterride doesn’t threaten personal financial stability, which frees one up to watch it all as a citizen. As a citizen, I watch it all with a great sense of optimism as the logical conclusion of decades of overspending and over-promising come to their natural conclusion. Households know that if they spend more than they take in, they have to borrow, which means in future years, more of their income will go to paying interest and paying down their debt than towards consumption. Governments have behaved for decades as if some magical fairy dust will evaporate their debts as the years pass so that year after year they can spend more than they take in, borrowing more and more, without ever facing the consequences. We’ve also watched as nations have seen there is a limit to how much taxation and government control can be placed on an economy before it falters. Continually increasing taxes eventually leads to lower tax receipts and stifles the economy. Onerous regulatory environments like the one in Greece kills entrepreneurialism, the lifeblood of any economy. There is a limit to how much taxation and government control an economy can withstand. I have great optimism because if people everywhere understand this and have the confidence to pressure their governments into behaving responsibly, if people ask every time government promises something, “How will we pay for it?” our economies can once again thrive and hopefully these lessons will not be quickly forgotten. I watch people across the United States and Europe, asking the tough questions and refusing to accept the obtuse responses that used to suffice. As my mother always says, “That which does not kill us makes us stronger.” This will not kill us.